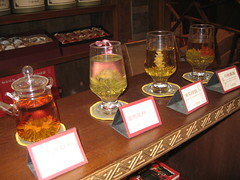 Last night I went out for tea, expensive tea. You put these little bulbs in and they bloom into a flower in hot water. Very elegant. Then I went out for dinner and a walk around Tienanmen square at night. It’s really hard to hail a taxi over there and I caught the subway home. It takes ages to get down there. Ages to wait for one. And the thing takes ages to get to its destination. I took the wrong exit and was very disorientated. A taxi finally took me back to my hutong hostel. 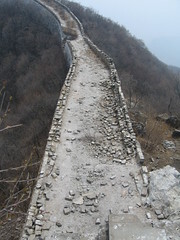 So early this morning (7am) I went on the “Great wall” tour. I am the kind of guy that would have appreciated a helicopter tour, or perhaps a cable car. Not a 8 hour hike along the fricken ruins of the wall. I shat myself when I saw two snakes perched on the wall. In the later half of the day we did finally hit the renovated parts thank god. 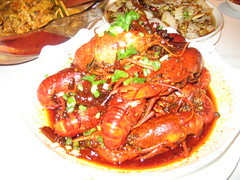 Went out for crayfish tonight. I’m a lucky laddie. Now I need to slip into a coma.